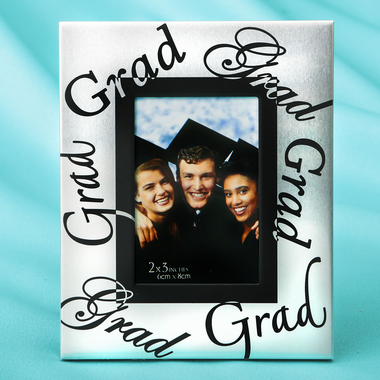 Whether you are having a middle school, high school, college graduation party, these fun mini graduation photo frames make perfect party favors. Each metal mini frame measures 4 1/8" x 4 7/8" and holds a 2" x 3" place card or photo. 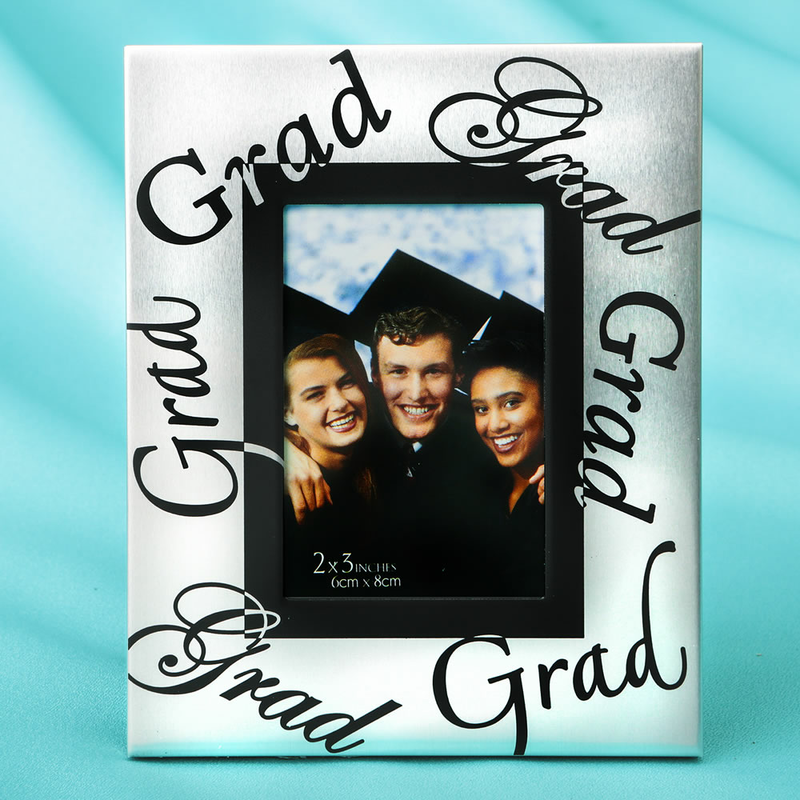 Since this silver frame has black lettering with the word "Grad" on it all around the border, it can stand both vertically or horizontally. Ready for giving, frames are individually packaged in a clear box.